Anyone who’s considering moving to Florida’s Space Coast should learn about the notable locations and employers in the area. 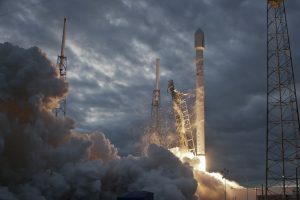 In addition to beaches, shopping, and theme parks, Brevard County is also home to several major tech companies, including SpaceX, an aerospace manufacturer that’s known for revolutionizing how people think of space exploration. At their location in Cape Canaveral, SpaceX designs and manufactures cutting-edge rockets and spacecraft. According to their website, “enabling people to live on other planets” is SpaceX’s goal. In fact, one of their latest projects involves immensely powerful, reusable launch vehicles that will be capable of carrying humans and vegetation to Mars. Since its founding in 2002, SpaceX has achieved many historic milestones. In 2010, it became the only company to return a spacecraft from Earth’s orbit; and in 2012, its Dragon spacecraft delivered a significant amount of cargo to and from space, making it the first commercial spacecraft to do so. In 2018, SpaceX launched Falcon Heavy, which is considered the world’s most powerful operational rocket. What Does SpaceX’s Future Hold? According to COO Gwynne Shotwell, SpaceX will continue to expand “in all locations” to meet future demand for innovative space technology and launch sites. In 2016, SpaceX stated plans to launch up to 90 rockets per year after 2019; and work is currently underway on a new launch site in Texas, which is expected to be operational in 2022. With various well-compensated jobs in vehicle engineering, manufacturing, and avionics, SpaceX is constantly looking for “world-class talent” to work on large-scale projects that will change space exploration. SpaceX also has internships available to students who are currently enrolled in a university and are interested in working in the aerospace industry. With people moving to the area for jobs at major employers like SpaceX, Lockheed Martin, and NASA, apartments in Brevard County are in high demand. Beachside Apartments is located along the coast in Satellite Beach. Our units offer spacious living areas, scenic views of the beach, and luxurious amenities. For more information, browse our floor plans or call us at (321) 779-0601.